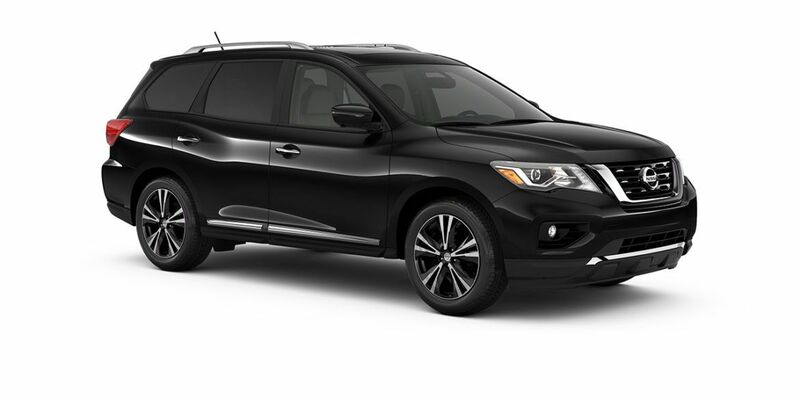 We have one of the finest selections of new Nissan vehicles in Whitby. Find what you’re looking for in our New Vehicle Inventory, accessible for shoppers anywhere in the Whitby, Oshawa, Courtice, Brooklin, and Uxbridge areas. You can also check out our New Vehicle Showroom or get New Vehicle Specials with us! We have a lot of regular specials, so be sure to look often. Head on over to our dealership where we showcase in our showroom the new new Nissan Rogue, Murano, Sentra, Altima, and Maxima! Or if you already know what you want, Build and Price it out or Contact Us to book a test drive with our Sales team! We’re conveniently located for customers throughout the Whitby, Oshawa, Courtice, Brooklin, and Uxbridge areas. Ready to get on the road? Start browsing our inventory of new Nissan vehicles in Whitby, like the new Nissan Rogue, Murano, Sentra, Altima, and Maxima! Our New Vehicle Inventory is the place to get started. Would you rather head on over yourself and browse our beautiful showroom? We’re located at 1300 Dundas Street East, Whitby, ON. Or for any questions you might have for any reason, you can click here for our contact details. TAKE ON adventures downtown and weekends out of town with progressive style, a commanding point of view, and available tech that helps watch out for you. Merge into traffic with complete confidence. No detours, potholes, or street-parking only restaurants can hold you back. The 2018 Nissan Qashqai.® Built around you, fit for YOUR CITY. The Nissan Rogue returns for another year, eager to continue its legacy as one of Nissan Canada’s best-selling SUVs. The Rogue’s all-wheel drive can take you from the pavement to the path less-travelled without breaking a sweat. And thanks to an advanced CVT, or continuously variable transmission, the new Rogue is capable of exceptional fuel economy. Thanks to 2 rows of seating and a handy rear hatch that allows for effortless rear loading, the new Murano remains as versatile as it’s always been. It’s a five-seater suited for those who lead active lifestyles and require more space and horsepower. Standard dual-zone climate control and pushbutton ignition show that even ‘standard’ for Nissan is above average in the industry. SEEK new destinations. Unrivalled space means everyone gets in on the action. Now take on the road, or what they call a road, with available Intelligent 4×4, while you tow up to 6,000 lbs. (2,722 kg).1 Then feel secure with a suite of advanced driver-assistance systems. The 2018 Nissan Pathfinder.® A vehicle this capable always makes for memorable ADVENTURE. Now more than 150 pounds lighter than its predecessor, the new Nissan Sentra continues to up its style, sophistication, and refinement with every new installment. It pushes boundaries with best-in-class combined fuel economy and an array of attractive standard features that give you the look and feel of a luxury car, all for a price that you wouldn’t believe. The new Nissan Altima is at the forefront of Nissan innovation thanks to years of research and refinement. The Altima provides a choice between the best-in-class highway fuel economy of a 2.5-L 4-cylinder engine at 7.4 L/100km combined, or the option of a high-performance 270 hp 3.5L V6 engine. Learn all about the new Nissan Altima at Midway Nissan. The recently redesigned Nissan Maxima is so different from other midsized luxury sedans that we had to create a brand-new designation: the 4DSC or 4-Door Sports Car. That’s because this year’s Maxima trounces the competition with high-performance touches like 19-inch wheels wrapped in performance tires, firm suspension tuning, and bold styling.